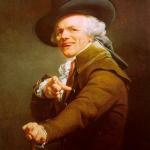 Sup Hot Fire archaic rap! I HAVE ACHIEVED DISSOLUTION OF CONNECTION WITH MY FORMER LASS. 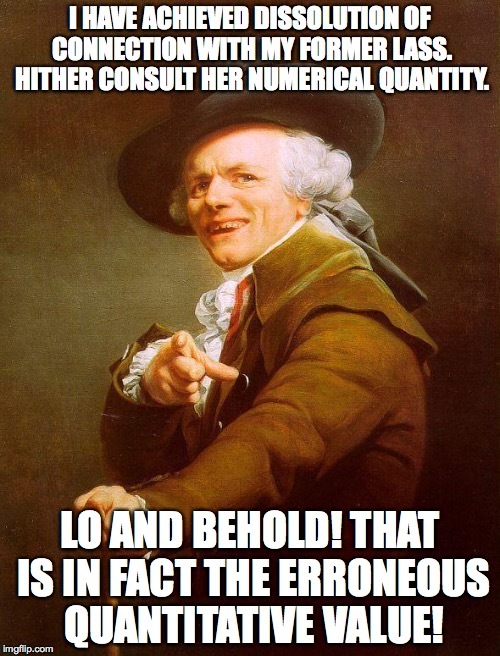 HITHER CONSULT HER NUMERICAL QUANTITY. LO AND BEHOLD! THAT IS IN FACT THE ERRONEOUS QUANTITATIVE VALUE!